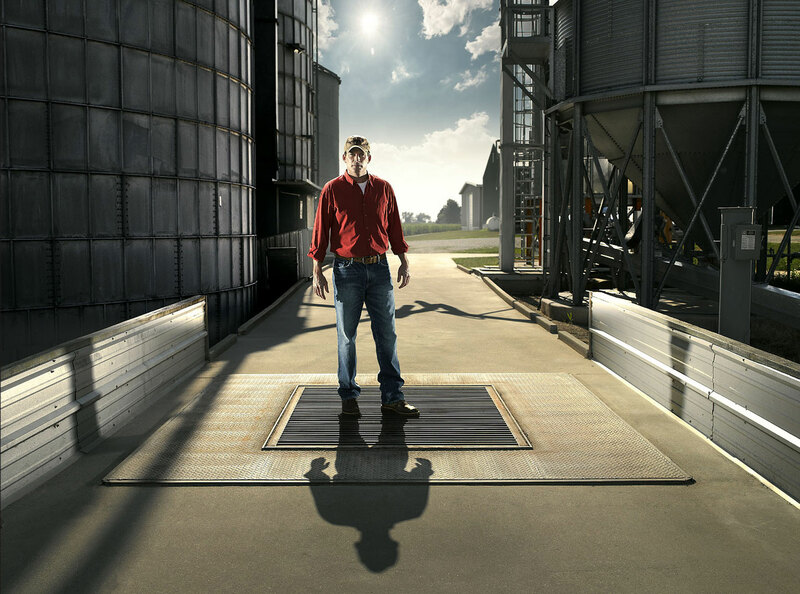 Corn and soybean farmer standing under his grain elevator. Corn and soybean farmer in a red shirt standing under his grain elevator on a sunny day. © 2017 Robert Randall Photography.